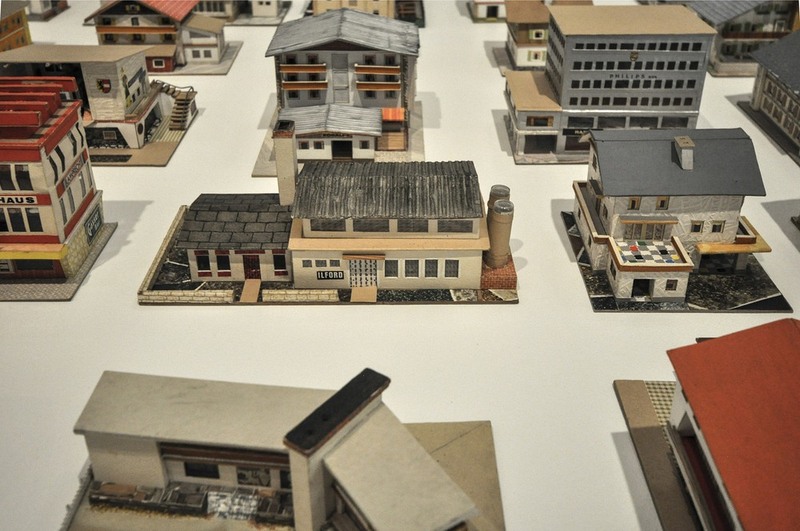 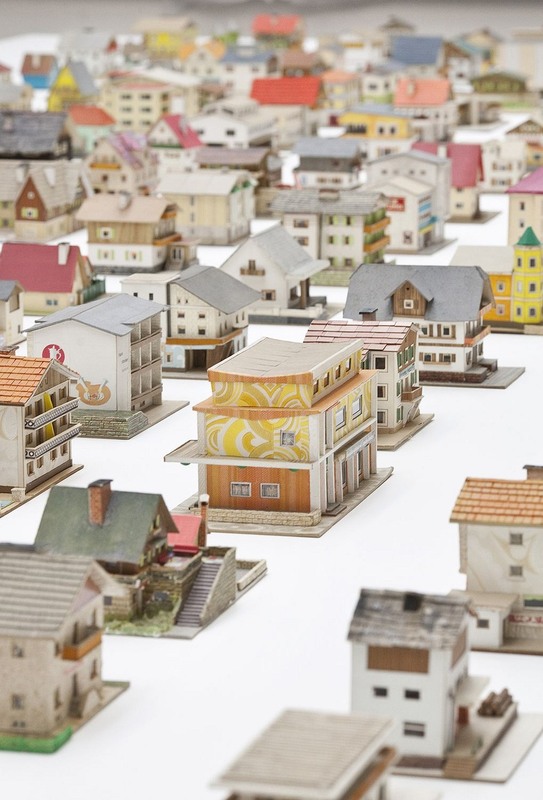 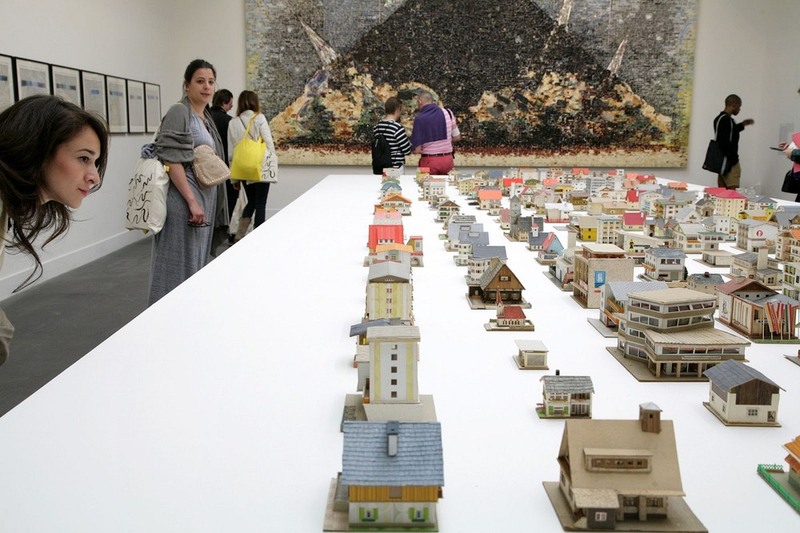 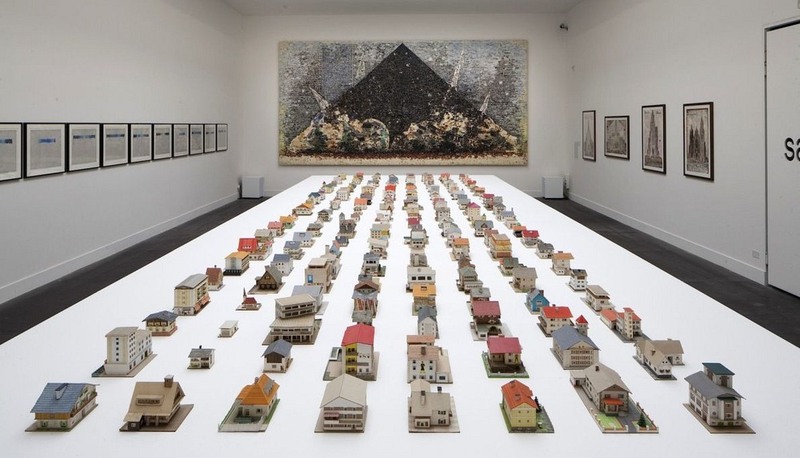 Ten years later, Croy exhibited his find for the first time at the Venice Art Biennale for a show entitled “The 387 Houses of Peter Fritz”. 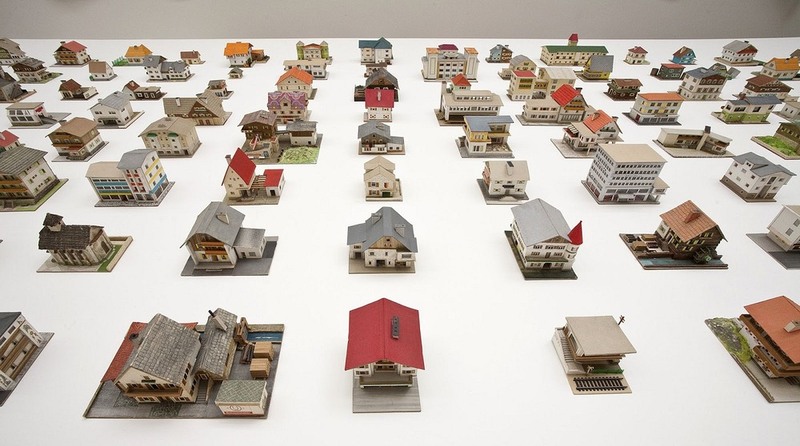 The buildings compose a “near-encyclopedic inventory of all manner of provincial architectural styles, from farmhouses to bank buildings, churches to traditional single family homes, villas to gas stations,” writes Designboom. 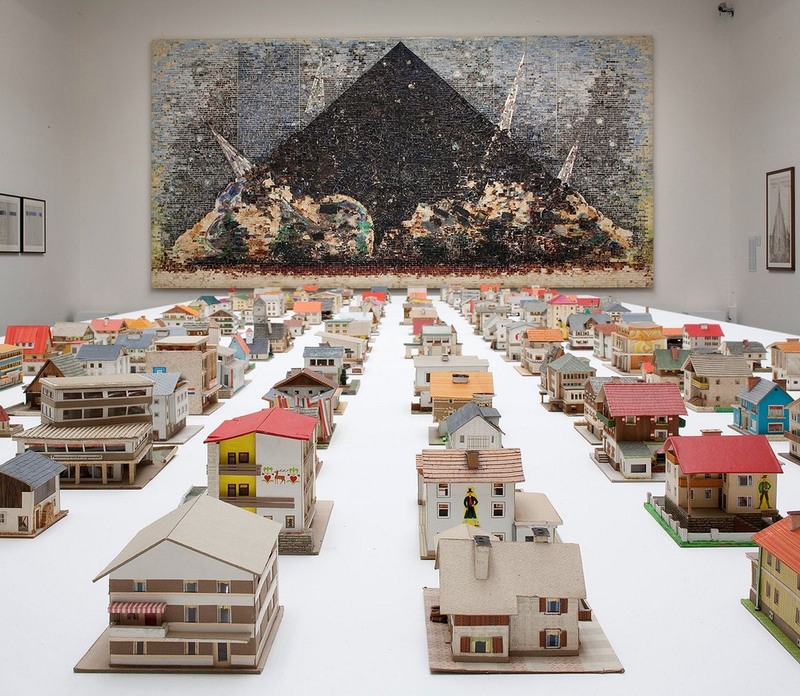 Each piece was clearly the result of hundreds of hours of painstaking labor driven by what must have been a flaming passion. 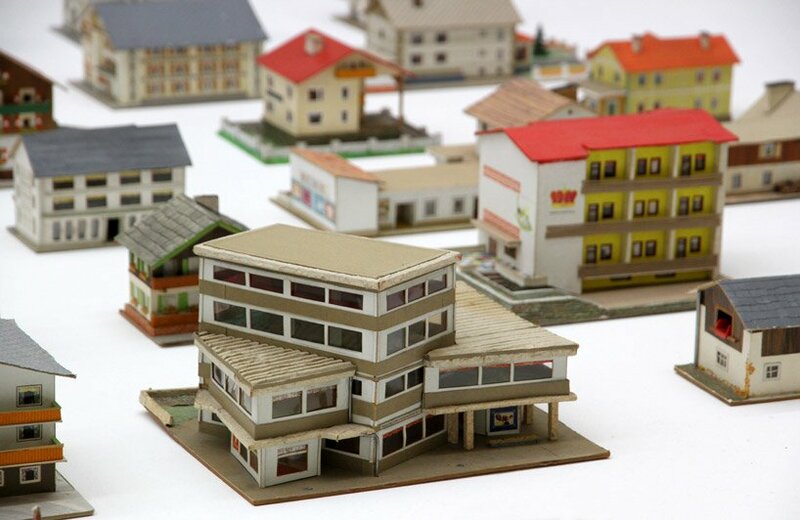 Each model was built from a combination of easily available materials, such as cardboard, matchboxes, wallpaper scraps, adhesive foil and magazine pages. 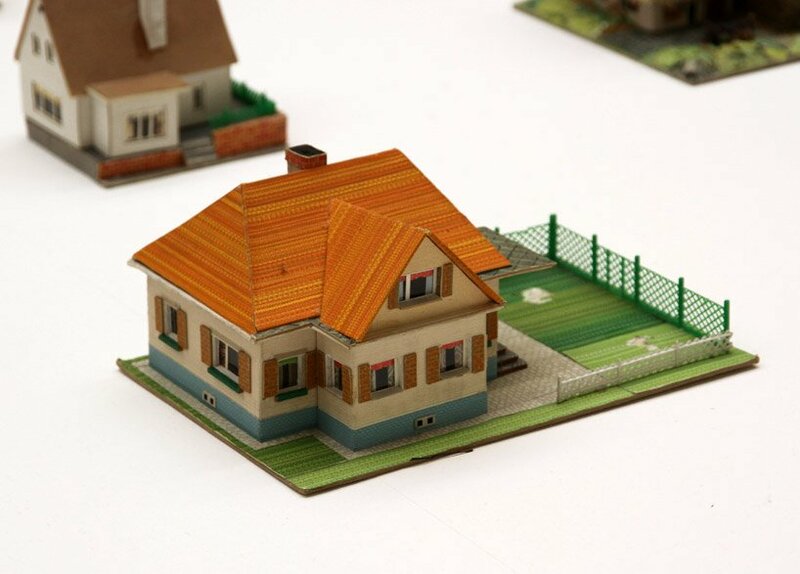 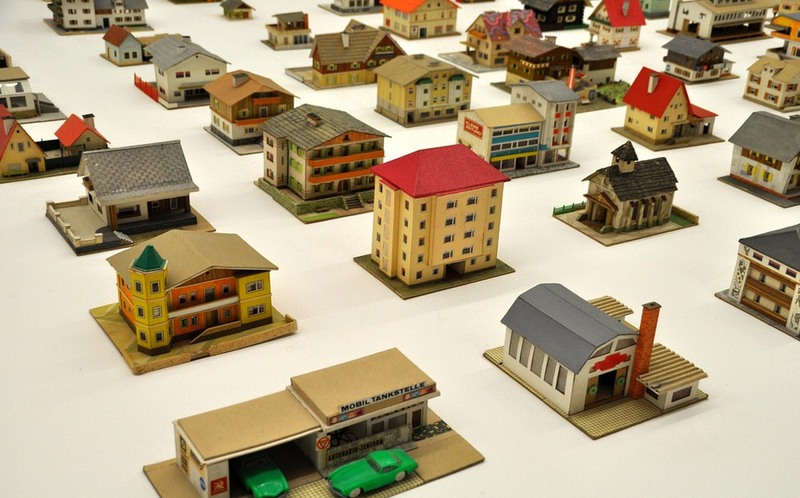 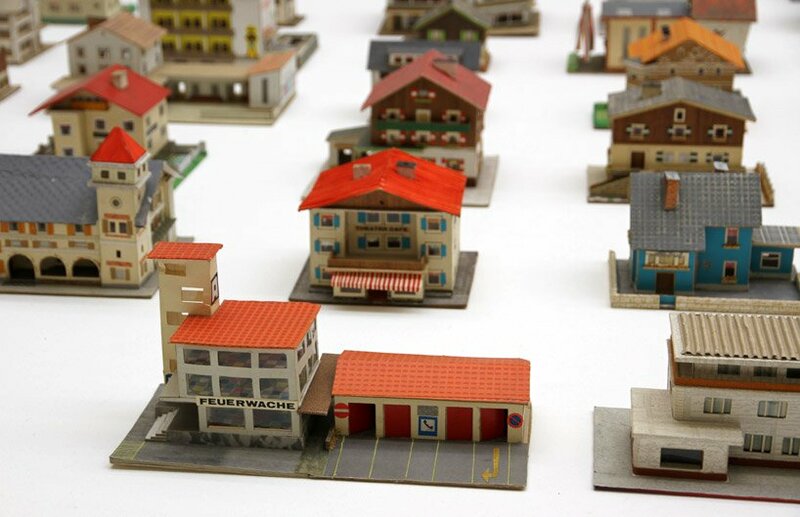 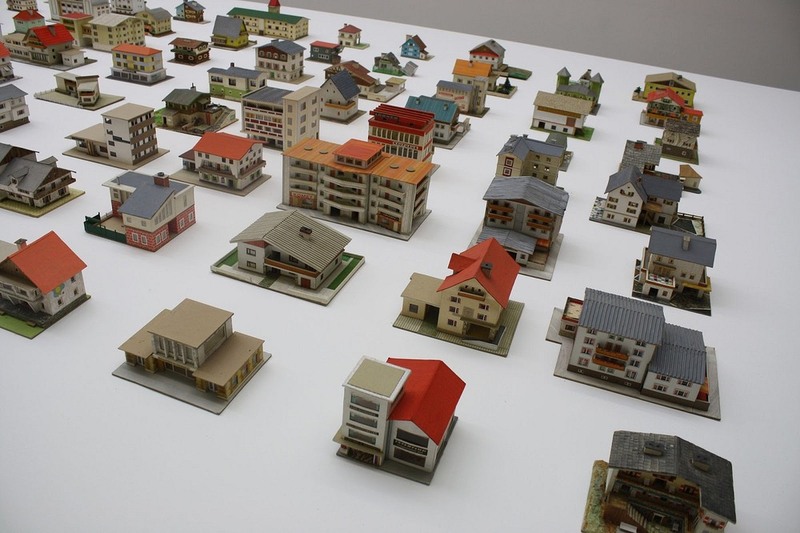 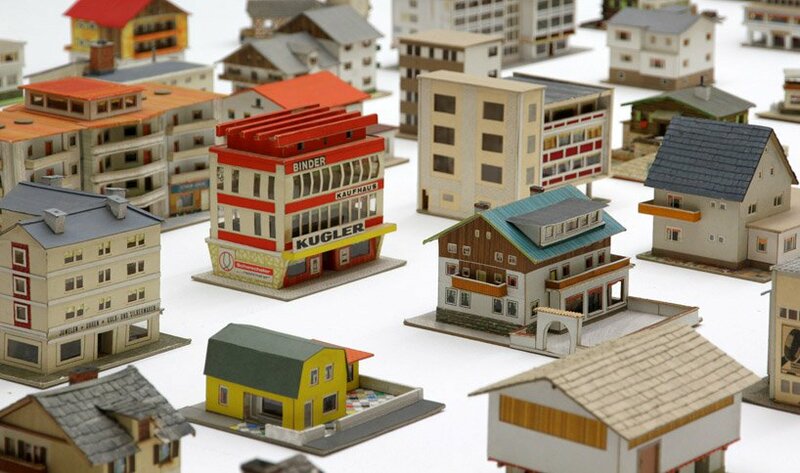 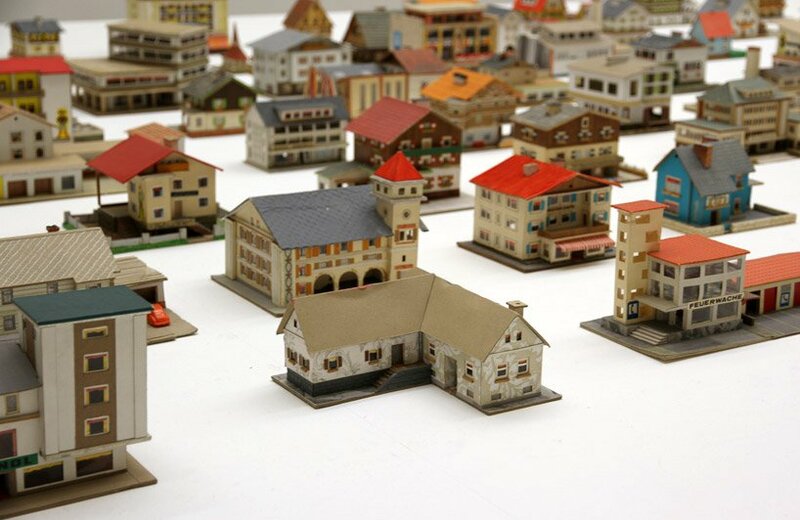 It is believed that Fritz made these models during the 1950s and 1960s, based possibly on existing buildings. 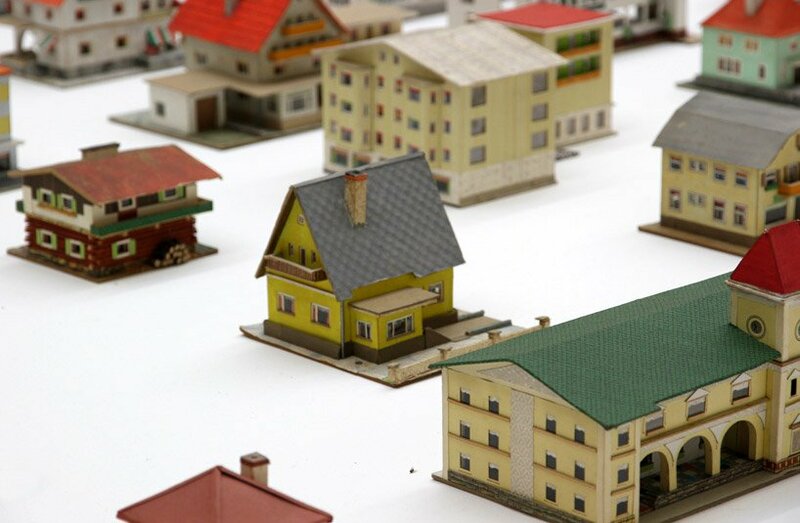 Designboom speculates that the models could be part of an extensive model train set that perhaps Fritz was building. 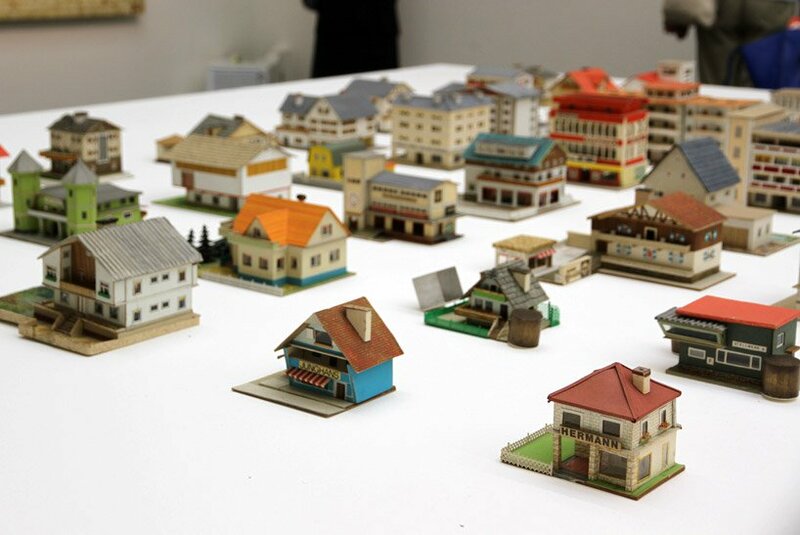 The collection has been exhibited at various locations around Europe the past two decades. 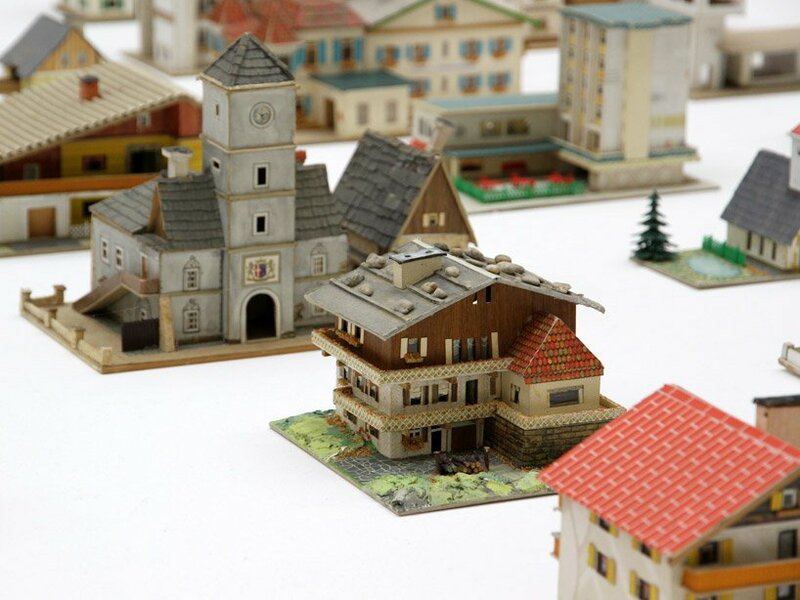 It now resides in the Wien Museum, Vienna, Austria.